With the holidays coming up quickly, we all are thinking about those special people in our lives and what to give them. 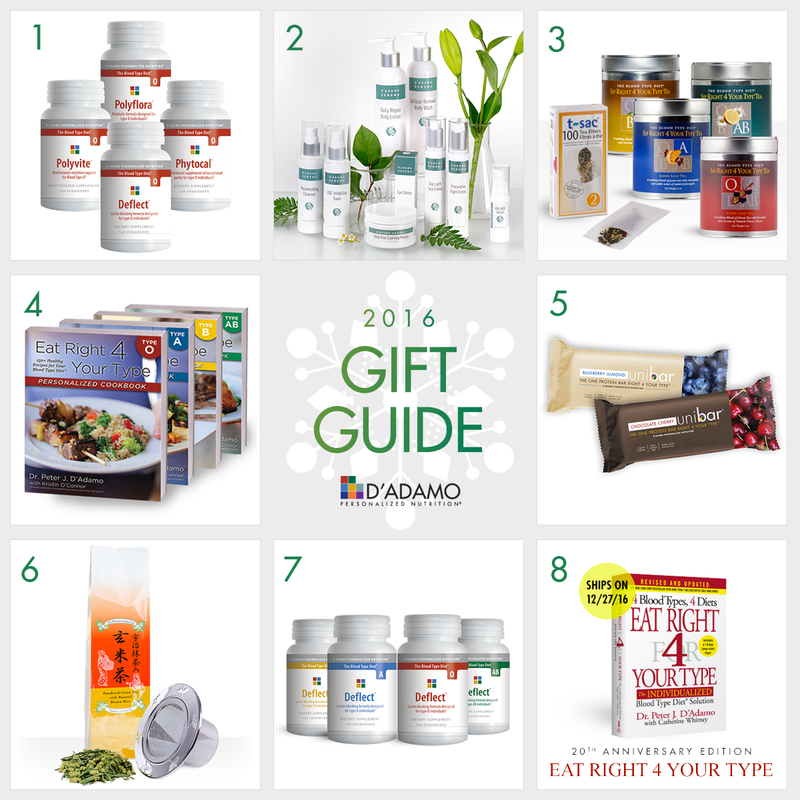 If they don’t need yet another sweater or scarf, be creative and give the gift of health and the possibility of renewed vigor with one of our selected products from D’Adamo Personalized Nutrition. The range is wide — from a signed copy of the soon to be released 20th Anniversary Edition of Eat Right 4 Your Type, to blood type specific vitamins, clean skin care or tasty teas and bars, we have a selection of products that can make your gift giving not only meaningful but also life enhancing. And remember, when you give your gifts, give the gift of your time as well…enjoy the companionship of a moment spent together, a phone call, a personal note. These are the things that are most valuable in all of our lives. Happy holidays! We know that a one-size-fits-all approach to diet and exercise doesn’t work – and our goal is to help you to discover the path that’s right for you. Our editors are dedicated to providing all the essentials you need to follow a personalized lifestyle program.